It is both an ideal and an assumption of traditional conceptions of justice for liberal democracies that citizens are autonomous, self-governing persons. Yet standard accounts of the self and of self-government at work in such theories are hotly disputed and often roundly criticized in most of their guises. John Christman offers a sustained critical analysis of both the idea of the 'self' and of autonomy as these ideas function in political theory, offering interpretations of these ideas which avoid such disputes and withstand such criticisms. 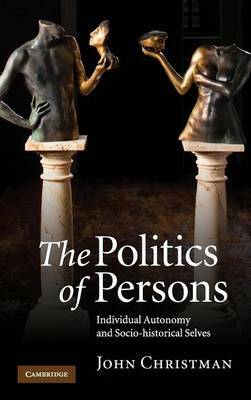 Christman's model of individual autonomy takes into account the socially constructed nature of persons and their complex cultural and social identities, and he shows how this model can provide a foundation for principles of justice for complex democracies marked by radical difference among citizens. His book will interest a wide range of readers in philosophy, politics, and the social sciences.